Running in the Rock ‘n’ Roll Las Vegas Marathon This Weekend? Grab a Slice of Pizza at Pop Up Pizza! The Rock ‘n’ Roll Las Vegas Marathon & Half Marathon takes place this weekend and what is a better way to fuel your run than with a delicious slice of pizza. Everyone knows that carb loading is a tradition of long distance runners but who says it has to be a boring pasta dish? 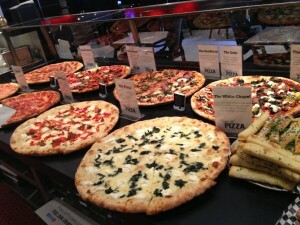 Popup Pizza, which provides Fremont street pizza in Las Vegas to locals and tourists alike, is the perfect place to stop by before or after the big race to load up on cheesy goodness. 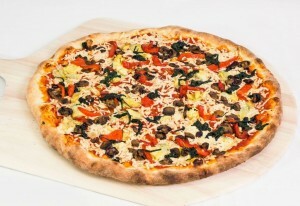 Stick with a classic cheese or pepperoni or explore one of Popup Pizza’s specialties such as The Newport which features ricotta, artichokes, peppers, eggplant, spinach, mushrooms and garlic infused olives. The Newport would be a perfect pre-run meal with all those plant based proteins on top. Conveniently located on Main Street in Downtown Las Vegas, the proximity to the run couldn’t be more perfect for runners looking to fuel up for the big race. 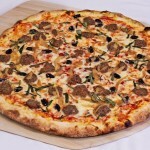 Here are the top 5 reasons you should consider pizza pre and post marathon. 5. Pizza is just the right amount of carbohydrates to keep you going whether you are running the full 26.2 miles, the half 13.1 miles, the half of the 1/2 6.5 miles or the 3.1 mile 5k. 4. Pizza is way more customizable than pasta. Think of the endless topping combinations! 3. Pizza can feature a number of different protein sources. You could go with the veggie loaded Newport or if you’re more of an animal based protein lover try The Harris Meatball Pie. 2. 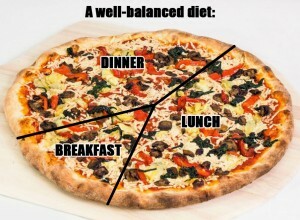 Pizza can be as healthy or as unhealthy as you desire. 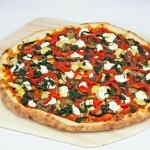 Before the race, you will probably want to go with the healthier option loaded with veggies and light on cheese. After the race you can indulge yourself with extra and different kinds of cheeses and meats. 1. Pizza is awesome and delicious. 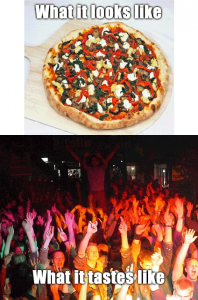 Obviously, this is the number one reason to choose pizza any time, not just when you’re racing. If you’re planning on racing this weekend, we hope to see you! Be sure to stop by and say ‘hi’!